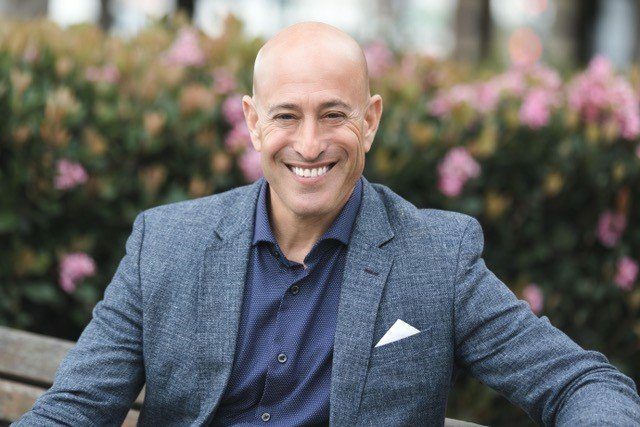 Life, whether personal or business-related, is very much like football, according to pro-footballer-turned-entrepreneur and President of Extreme Focus, Shane Austin. You have to be prepared and work hard to develop the mental and physical fortitude required to succeed in every facet of life. So much of that requires gratitude and the right attitude. Shane shares the learning and values he acquired from playing professional football and how he applies them daily. He also lets us in on the bits and pieces he’s learned from others, in both football and business, by observing their attitudes towards challenges. He rounds it all up by sharing his rituals for resilience. I am feeling incredibly blessed at this moment. I don’t know why I’m surprised about this. I’m not entirely sure even that I am surprised. I am feeling so much more gratitude so much more frequently. It blows me away that there is almost no limit to the way gratitude can change a moment in my life again and again consistently, even if I’m having a great day. It doesn’t mean that somehow, I’m not feeling great and I need a dose of gratitude, so I get out of my head. Even when my heart is engaged and I’min joy, the moment I add a little sprinkle of gratitude to the recipe, everything goes to a whole other level. It’s like going into warp speed. I’m feeling wonderful. I am blessed to have an incredible guest on the show. This gentleman is something special. He’s done some remarkable things in a pretty short amount of time in his life. He’s got a lot of experience to share and a lot of great stories as well. I’m looking forward to Shane Austin being on the show. Shane, welcome. It’s a pleasure to have you. 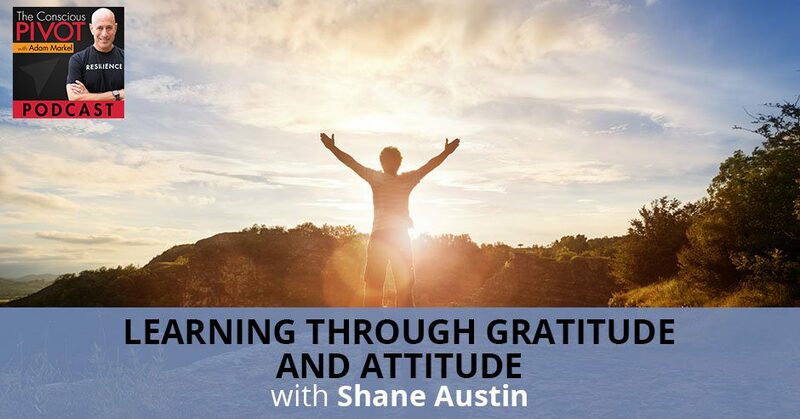 Shane Austin is a professional football player turned entrepreneur. Shane has taken the mental fortitude needed to perform at the highest levels in sports and applies it daily to his personal and professional life. He now coaches others to be more effective leaders by leveraging the mindset for success in any area of life. As President of Extreme Focus, Shane, and Founder, Dave Austin, work with some of the highest performers on this planet. The Extreme Focus system has been uniquely designed to trigger you into right action in any situation and the impact it is having currently on Olympic athletes, Army Rangers, Navy SEALs, professional athletes and corporate teams is truly unprecedented. Shane, what’s not on this introduction that you’d love for people to know about you? Before we get to that question, what’s one thing in this moment that you are grateful for? Gratitude is impactful and it’s the centerpiece of who I am, and I try to practice it daily. What I’m getting inspired by and gratitude is the life lessons that I have learned over the years that have created me into the person I am now, my football journey and my career and some of the things that in the moment or moments that I probably was like, “Why me?” have shaped me into the person that I am. That I can apply anywhere on and off the field. I’m still grateful that I get to play this game. I’m still young enough, the body’s still holding up, so I can still play while I’m still athletic. I’m grateful for that.I’m grateful for the lessons that I’m learning. I continue to learn along the way. What’s in between the lines on this intro here for you? I have the athletic career that I’m still continuing to be blessed and able to play. I have the entrepreneurial side of Extreme Focus and that is an entirely different blessing because I get to go into a game day in a whole new way. The transition of applying those same mental aspects and the mindsets, those principles apply to any area of life. I am pretty young at this moment and maybe it’s adolescent stage of being an entrepreneur. Seeing how those same mindsets and those same triggers apply to all areas of life is still an exciting thing. Between the lines, the biggest thing for me is that I’m constantly a student of life. We’re never done learning and that’s something that I am passionate about, which is continuing to grow and to learn from all different walks of life. Seeing different perspectives and playing around with it in my head and like, “That does make sense.”Being surprised and amazed at all the things out there in life, when we think we’ve got it figured it out, we’re just scratching the surface. I love to be blown away by something that I wasn’t even thinking about. Gratitude And Attitude: Be a constant learner who is humble enough to continue growing. I’m going to fill in one of the things that are special. You’ve got married. You’ve got a lot of good perspectives. Everything you said applies well to marriage. I mean no implication or whatever that I know something. I don’t want to indicate I know anything. I happened to be married 28 and a half years, I have 28 revolutions around the sun to say this. Everything you’re talking about, being a constant learner, being open to growing and being humble enough, the part of this is about humility. That you, at any age, to be going, “I can look at this through beginner’s eyes,” that will serve you well in marriage. I teach this stuff. I apply it on and off the field, but where I need it the most is sometimes in the relationship and it’s a blessing. It is to be able to be in control of at least your attitude, your mindset to apply it to that as well. My football career and the moments that I can look back on, those were pivotal moments. Those were character builders. Those are something that I’m using the lessons from that in my life. Those moments had a huge, positive impact. At the moment, you feel it’s negative. It feels like it’s, “Why me?” I went to the University of Hawaii for my college career. I played football there. I was blessed to have a D1 scholarship and play some of the best talents in the world in this sport of football. College football is a very small gap between the levels of the NFL, it’s professionally run. It’s a big deal. I had prepared my whole life to be at the top of my level. You say I’m pretty athletic, but I’m not that prototypical size of a quarterback. Now, you see some guys who are a little bit shorter like Russell Wilson or Drew Brees that are having success. The transitional time going from high school to college, they’re only looking at 6’3”, 6’5” quarterbacks. I had a lot of odds against me. You already have small odds when it comes to making it in college football into professional football. When they talk about the statistics, it’s mind-blowing how the odds are stacked against you. I knew that I had to put in extra work. Being in my size, I had to put in more physical work than any of the other bigger guys that were gifted, blessed with that natural size and ability. I had to bring in the mental side and the mental fortitude. I was fortunate enough to have Dave Austin as my father. I was force-fed with these principles from a young age. I’m thankful and blessed because it helps me get through some of these pivotal moments. One moment in my college career when I was in Hawaii, I finally put myself in position to have an opportunity to get the starting job. That was my ultimate goal. That was my big kahuna goal at the moment. I was battling for the job and I felt I was playing well. I was playing at the top of my level. All of my preparation was coming together. I got the news coming out of fall camp, maybe this was in 2009 or 2010, right before we started going into our home opener against USC who was ranked eighteenth at that time. They had Monte Kiffinin defense, who’s an NFL defensive coordinator. It was a big-time team. We were going to be the first game on national television, the first game of college football. It was going to be a big stage. Not only did I not get the starting job, but they bumped me back to third string, which was a huge blow to all the work that I had been doing. Once I started listing all the things I was grateful for, I was like, “How could I possibly be upset at this moment?” There are many people that would wish they could be in my shoes. That comes to perspective and expectations. Once you get to a certain level, you expect more. We continue to have higher expectations, which I feel is important because you want to be able to continue to grow and strive for that. You can always feel like a failure at any level. It doesn’t matter, but to some people from the outside perspective, that was a huge success. Just making it to D1 college football was a huge success, but at that moment I wasn’t feeling successful. I was feeling like a failure. I had to tap into that gratitude. I had to appreciate the blessings and change my perspective. That was a big attitude adjuster. That was a big game changer for me. I had to ask some better questions and it wasn’t just the, “Why me?” it was tapping into my subconscious and what was going on in there. Maybe I had some blocks that I didn’t realize were in there. Had I asked some questions of, “What is being the backup? What is that serving me? How is that serving me?”I’m finding different ways to continue to be the backup, even though I say I’m doing the right things. Even though I feel I’m doing the right things. Somehow, those results continue to find me or get attracted or gravitate towards me. I had to find, “What is that block that’s holding me back?” I had to ask some better questions. Once I asked those questions, then there was some clarity. There were some a-ha moments. Once I got at peace with where I was at and I was in gratitude of that, we come to that USC game. The first game of the season, I’m third string. Probably no shot at sniffing the fields, but I prepared myself as a starter as I always do, make sure I’m always prepared for that opportunity. You never know when that opportunity is going to come. You want to make sure you’re prepared for sure. Our starting quarterback goes down. We had been doing a pretty good job already that game. The backup comes in, the guy who leapfrogged me, and he struggles. After maybe two drives, they pull him, and I get the green light. It’like, “How on Earth would this have even transpired?” but it did and I was ready for it. Maybe I had a little chip on my shoulder that day. I was a little like Ray Lewis. He says, “Pissed off for greatness.” I was a little bit of that but at the core, at the center, it was coming from the gratitude of the opportunity. It was coming forward not, “I’m going to go prove you guys wrong.” It was, “I’m going to prove myself right that I do belong here.” I went on and that was the best game of my career. I tore it up. It was a high-flying shootout to the end. We ended up losing the game because you can’t control everything. I can’t control what our defense does, but the things that I could control I did. I had the greatest game of my life. That night I met up with this girl at that time who had seen the game. We had our first kiss and now I’m married to that girl. It was a big night for me, my best college game and I met the love of my life. That perspective and shifting my attitude was a huge game changer, a huge lesson that I always have to remind myself of moving forward. I was going to ask you how it is that you’re reminded of that lesson and where you apply it? You’ve got back from a honeymoon. You had some challenges on your honeymoon, in travel and stuff. We had some issues with a particular airline. We definitely had some complications that were completely out of our control. We did everything in our power. We got there two and a half hours or almost three hours before our flight and somehow, they had some policies, some fine print stuff that wouldn’t allow us on the flight. It was a baggage issue and it made us have to book a new flight on the spot. Going to a different airport, book another connecting flight where we ended up having to sleep in the airport one night in Orlando. We had to book some other hotels on the spot. We flew to Phoenix, got a rental car and drove to Albuquerque. That took a stretch of almost three days to get us home based on one little policy thing, that was out of our control. We can get pissed off, which we were. I’m not going to beat around the bush. We definitely weren’t happy customers, but it still brought back to perspective and being grateful. Maybe the lesson there was that you’ve got to stay on the phone with Norwegian Airlines long enough, so they can change your flight. Some people weren’t as fortunate as us. In moments it’s hard to find gratitude in something like that. Gratitude And Attitude: When you start to realize the blessings in your life, you will be able to tap into gratitude. Many people want to say, “I’m grateful,” when things are going right but they don’t feel grateful when things are going wrong. Most of the time, that’s the most important time to have gratitude is when things aren’t going right. It’s not that it’s necessarily going to immediately change your circumstances and now immediately you’re going to be successful. At least it puts you in the right space to allow something better to happen. We had a clear mind, created a new plan, had to adjust and we finally did get home. I’m grateful to be home. Cultivating the habit of gratitude or the attitude of gratitude is important because in moments where we react, we’re not at our optimal selves. Whenever I’m in gratitude, I am at my optimal self. That’s a quick hack. It’s part of something I’m writing about is how it is that we are pivoting our mindset from moment to moment, day-to-day. Those are the essential pivots. Those are the real important pivots as far as I’m concerned. We look at one moment in time and a pivotal decision that we made, but making the right decisions is something you set yourself up for. It’s like on the football field. You don’t just make right decisions because all things line up in your favor and you happened to make the right call. We make the right decisions because we’ve trained ourselves to do that. We’ve practiced. We’ve created habits that put us in a position when there are choices and we always have a choice in how we react to something. How we think about something. A habit of being grateful in the moment gives us a better shot to make better decisions. I’ve got to say I love that quote. It was the end of 2016, I went out and played in China. I played for Shanghai. We had a play with half-Asians and half-Americans. That was our theme for the entire season was the 10/90 Rule. It was a brand-new league. There were many things that were going out of our control, but every team had to deal with those same issues and hurdles. The teams that were able to overcome those and communicate the best with guys, who can’t even speak the same language as you, were the ones who were successful. That 10/90 Rule that you’re talking about was beneficial to our success because the one string we have is our attitude and gratitude is a great way to snap you into that right attitude. When you were looking at quarterbacks to model for yourself, was Joe Theismann one of those guys? Was it Doug Flutie? Were there guys who size-wise had overcome the odds to become big names in the sport, who weren’t 6’5” and looked like Tom Brady? Doug Flutie was 5’7” and he would even sometimes have to jump up in the air and throw the ball in midair to see over the line. That was a great thing growing up. The biggest impact for me, the guy that I looked up to the most throughout my career was Drew Brees. I was fortunate enough to have the opportunity to train with him and get to talk with him as well. In training with him, you see why he’s a champion. He prepares as a champion every single day. It’s not like he goes through the motions. This is the off-season. We’rethrowing some routes to receivers. He’s literally going through and seeing it as if he’s in the Super Bowl. You can tell that the amount of focus that he brings. We’re at a high school field throwing the ball and he’s so focused and if he misses by inches, he’s on himself right away. He’s expecting more out of himself. I remember that amount of focus that he puts into just a little bit of that training. There’s a reason why he’s successful. One thing that he told me that has stuck is to control what you can control. That was in the middle of my college career when I was going through those issues. That was one thing that when he told me that, I was like, “That’s so true.” It’s so simple but that which is easy to do is easy not to do. I had to be reminded of that to be like, “There are a lot of things out of my control. I’ve got to surrender to that. I’ve got to be okay with that and focus in on what the things are that I can do to put myself in position.” I attribute all of my success to luck, but I prepare each day to be lucky. That was a big game changer, being able to train alongside with one of the best. He’s going to be a Hall of Famer. To see that level of focus and that level of preparation, it makes sense why he’s so good. He’s one of my favorites. He had been on my Fantasy Football team for years. The guy puts up crazy. He always puts up incredible numbers. He’s such a consummate professional. Everything about him seems to be the right mix, demeanor with talent, with tenacity. It’s clear looking out from the outside, but you have an inside perspective on his level of focus. Beyond the statistics that he puts up, his leadership, the way that he can get guys around him to trust in each other and play around him. He knows that he can’t do it on his own and he knows how valuable it is to have not just great talented players around you, but guys that can gel together and trust each other. He’s a great leader in that sense that he gets the best out of his teammates. That’s some of the intangibles that you don’t see. You see the numbers, but you don’t see the prep that he does. He visualizes an hour before each game. I do visualization. We call it game ready. It blew my mind once I found out he’s literally prepping for an hour. He’s the first one on the field on game day. He goes out onto the field when it’s empty. Nobody’s even there yet. Not even the crew, maybe some of the crew is there in the morning, but he’s literally the only one on the field. He goes through their entire game plan, even into the huddle. He’s out there by himself, but he’s pretending there’s a huddle. He goes out to the line of scrimmage. He goes through his checks and literally marches down the field and throws a metaphorical touchdown. That level of preparation is unbelievable. That was a huge lesson for me. It’s almost like VR with Drew, anyway. He’s got his literal VR glasses, except they’re inside his head. That’s the beautiful thing about visualization. I go into every single game visualizing, and I’ve taken that to my personal life too. I visualize ahead of time seeing now as if it’s already happening because we can. It’s all about programming our subconscious mind into accepting that reality before it’s even happened. Once you can accept it and you adopt it already, then it becomes second nature. It becomes natural, then it becomes somewhat of an expectation because you’ve already seen yourself. You’ve already been there before. You can trick your mind into believing that you’ve already done it. I did not visualize that happen. The thing that I’ve noticed more with visualization that’s powerful is I used to visualize everything happening perfectly. Everything happening smoothly, exactly the way you want it to be. 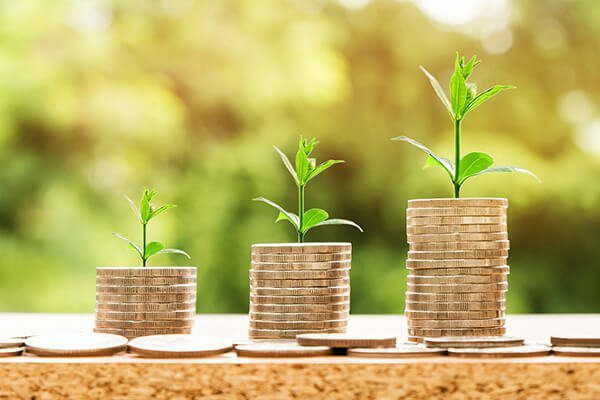 What I found that’s even more effective is visualizing those challenges, those adversities, the things that don’t go right, and then seeing yourself overcoming them. You’re priming the mind to be able to react much quicker at that moment because you’ve already seen yourself getting over that. In life, you rarely ever have everything go perfectly, especially in football. They say 70% of the time it does not happen how you planned it, so you have to be able to react and adapt at the moment. The more you can prep yourself before that, the quicker you can react and it’s all about how fast you can react. Gratitude And Attitude: Attitude is more important than facts. It is more important than success or what other people think, say, or do. I am convinced that life is 10% what happens to me and 90% how I react to it. You are working with your dad, you’re a dynamic duo. The people that you’re working with are some of the highest performing folks out there; Olympic athletes, Army Rangers, Navy SEALs, professional athletes, corporate teams, etc. What would you say is the biggest challenge that faces? Is there one particular challenge that’s common even among these high achievers? Is it dependent on every person? Is every person different or is there some common denominator? There are definitely some common denominators, but to set the stage of some of those high performing athletes or performers in general. The thing with them is being at such a high level is that you’ve got to put in the physical amount of work. You’ve got to put in the recovery. You’ve got to put in the nutrition and the diet, all that stuff just to be at ground level. Just to be even with everybody. They’re all looking for that difference maker of, “What’s going to propel me that little 1% maybe to pass my competition because it’s highly competitive?”Once they understand, they might understand that the mental side is that factor that helps them get to that next level. Sometimes they don’t understand the exact tools that can get you into there. Maybe they think that they’re doing the things right, but maybe they’ve got something blocking them. Maybe they’re doing their affirmations daily, so that way they’re trying to program their subconscious, but there’s some block that’s hidden in there and hitting a plateau. Once you can go in and remove those blocks, all of those things start to work, all of those tools, all of those principles. One thing with the Army Rangers, Navy SEALs that we noticed is that their system of getting to that highest level is a system of attrition. It’s making it so difficult. It’s so rigorous to get through their training and through they’re different levels and tiers. What they have to do is unbelievable. You have to be naturally mentally tough to be able to withstand that. The last few that are standing at the end, those are the guys that are the elites of the elites, but they had no way of training them to get there. They thought you had to be born with it. Anybody who can’t get to that level, then we let go or they either quit themselves. They didn’t know that what they were naturally doing can be taught and it can be things that you can apply to things outside of their training. They can apply it to life. This friend of ours who’s a Navy SEAL here in San Diego, he’s a part of SEAL Team One. He said, “The only easy day was yesterday.”They’re not looking for an easy day. They’re not trained to look for an easy day because the attrition, especially getting to become a member of that elite force, is one of whittling. People getting whittled down, they look to whittle guys down, but that’s part of the process. It’s so true of life. It’s so true of business. When I was a lawyer, when I’ve been a CEO, I didn’t start out as a lawyer. I didn’t start out as successful. I didn’t start out as a CEO. I started out the bottom level in the organization. It was as much my being around, being left standing at the end of the day that presented the opportunity. It was anything I might have done well or done right or decisions that were made. Clearly you’ve got to make better decisions. You’ve got to be doing things at a certain skillset to be able to seize an opportunity. There are plenty of guys that were equally or more qualified in any of those situations than me, yet I was the one there. Most people don’t necessarily think that that’s such an important part of the equation or that’s in the mix as much as it is to be standing when other people take themselves out. They sabotage themselves, they quit and they’re their own worst enemy to someone who is willing to stay in there, stand in there and be tenacious. To be able to do that, you’ve got to take great care of yourself too. I was watching an interview withTom Brady and Michael Strahan. They’re on Good Morning America and he’s talking to Tom about his long career. He’s talking about Drew Brees having a long career. Tom Brady’s got a long career. He’s 40 years old. He’s done now but he said he could have played five more years had he been taking better care of himself earlier on. In his twenties, had he known what he knows now about hydration, rest and recovery? What it means to create rituals, practices, habits for recovery. He’d still have five years in the tank and clearly, by the statement alone, he’d love to keep playing. The guy’s a competitor. He’s having fun and would love to keep playing, but it’s time. The body’s saying no. The last question for you, Shane, has to do with rituals. The rituals for resilience are what we call them. When we talk about pivot principals, we talk or share that to us, resilience is key in being able to successfully continue to pivot and have things work out. You call it luck. We can call it lots of things, but to set you up for success, to put yourself in a position to win is a big deal. That doesn’t happen without a lot of prep, whether it’s to have a mindset coach, whatever the various things are that puts you in a position to succeed. You’re still playing professional ball and you’ve got a business that is supporting others who are either professionals in a business, in sports or in defending our country. What are some of the rituals or habits that you’ve created for your own to put yourself in a position to win? Like we talked about with the physical work and the tactical things, you still need to do that on a consistent basis. If you just focus on the mental, you’re going to get so far, but when you bring it all together that’s what’s important. You’ve got to do all the technical stuff, you’ve got to do the hard work, you’ve got to be laser-focused on whatever you’re doing to keep up. The mental side, the things that I do ritually is I have my vision. I have a clear vision of where I want to be. Maybe it’s five years, ten years, twenty years down the road, you’ve got to have that big picture vision. I like to work backward. I’m a big, goal-oriented person. Gratitude And Attitude: The more you can prepare yourself, the quicker you can react. Our minds are goal-seeking mechanisms. Once you put that target out there, your mind wants to find a way to achieve it. If you have a system for achieving it, you’re more likely to hit that target. It’s like an archer. If you don’t have that target up there, you’re going to send that arrow flying anywhere. A lot of people go through life like that. They feel they know which direction they’re going, but it’s aimless. If you have a clear target, it might not end up that way but at least you’re going in that direction. I’m a big goal-setter. I review my goals daily in the morning to make sure I know that. It’s one thing to set goals. It’s another to daily, focus in on them. What am I doing today that’s working me towards that? I have my big, endgame goals. I have the medium goals. I help to get there. I even have the little goals, so I can break it down. What can I do daily to get me to my monthly, quarterly, yearly, five-year picture? Whatever that is, I work that way. I’msystematic in that way. It all comes back down to what we’ve been talking about this whole time is attitude and how we can prime our subconscious mind to accept success. A lot of times we sabotage ourselves. I have to make sure that daily I’m doing my gratitude of the day. I’m doing my affirmations. I’m reminding myself of what the goals are and making that a part of my routine has helped me on the field. It’s things that I’m using now, off the field as well, because it applies to everything. Whenever I think of endings, I’m constantly thinking, “It’s just the beginning.”It’s an end and a beginning all at once. I want to take us back to gratitude, which we began with and we can conclude with. It’s more important for me, personally to be reminded of each and every time I wake up, each and every time I go to sleep and various points during the day to get a reset. It’s like on the old computer CPU, which some people still have that, the button that you bang and reset the computer. We just need to hit the reset button sometimes. You can get off on the wrong foot. Your day can go sideways pretty quickly. You get an email, get a phone call where you’re not at your best for a few moments, and you’ve got to get a reset. Gratitude to me is a great reset. Tomorrow morning, this is my intention that I wake up. I want to set that intention not just for myself, but for everybody, for Shane, for your dad, for your family, for everybody that’s reading this that we all get to wake up tomorrow. That’s not a guarantee. We take that for granted, but that is not a guarantee. There will be people at the moment that we are waking in that we’re taking that first breath of the morning. There will be people who are taking their last breath at that moment. At that same moment, babies being born all around the world, all over this planet that will be taking their first breath. What a sacred moment that is. I was on my honeymoon. I was in France and Paris. We went down to the Catacombs where they have six million skeletons buried down there. One thing about the French that I picked up from my trip is that they enjoy taking a walk through a graveyard. It’s a reminder to them that their opportunity on this Earth is over. I’m still breathing. I still have an opportunity to make something happen. It’s that Carpe Diem mindset. It’s like, “Seize the day,” and that’s something that I’m resetting right now in gratitude and reminding of that because it’s powerful. We’re still on this Earth. We’re still breathing. That’s not guaranteed, so take advantage of it while you can. Give your dad a big hug from me. We will see you soon. We love you. We appreciate you. We’re blessed to have you part of the community. Ciao for now. 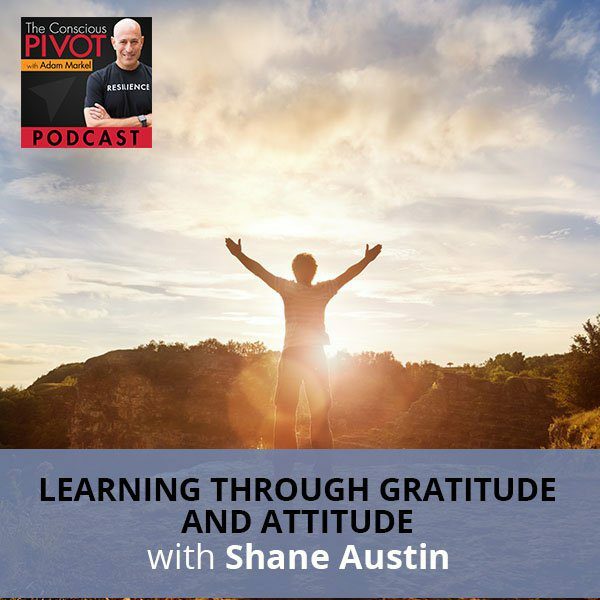 Professional football player turned entrepreneur, Shane Austin has taken the mental fortitude needed to perform at the highest levels in sports and applies it daily to his personal and professional life. He now coaches others to be more effective leaders by leveraging the mindset for success in any area of life. As president of Extreme Focus, Shane and founder, Dave Austin, work with some of the highest performers on this planet. The Extreme Focus system has been uniquely designed to trigger you into right action in any situation and the impact it is having on Olympic athletes, Army Rangers, Navy Seals, professional athletes, and corporate teams is unprecedented.